US 50 to Stateline Rd to lt on Georgetown to lt on Greenwood to property on right. Sign on. 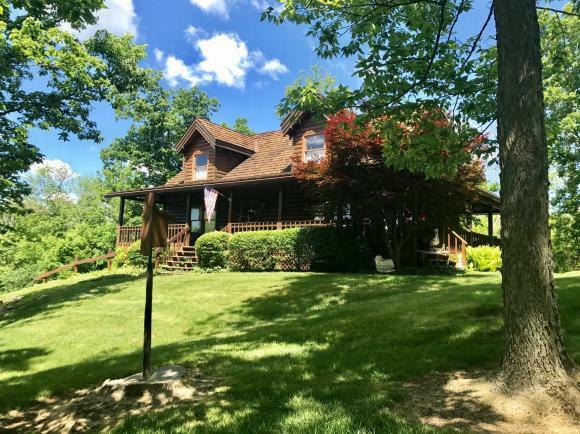 Inviting cedar log cabin on 4 ac w/wrap-around cvrd porch for entertaining or to enjoy watching wildlife! 1-owner home w/3-4 bdrms, 3 bths, vltd clngs, natural wood beams & ceiling. Wood-burning frpl, Corian counters, open dining rm, hrdwd flrs, huge 1st flr mstr bdrm, loft area, fin walkout LL, oversized det gar, stocked pond, cedar shake roof. NOTE: This property was sold on 7/13/2017 and is no longer available. The details listed below are believed accurate to the date of the sale and are subject to change.